After entering the season with one of the most hyped defenses in the NFL, the Cleveland Browns (2-4) have failed to live up to expectations. The Browns are clearly a more competitive football team under head coach Mike Pettine. Their offense, while prone to stagnation, has shown glimpses of beauty. Josh McCown, Cleveland’s latest journeyman quarterback, is better than most of the others before him. But the losing results are the same, sketchy personnel decisions are rising to the forefront, and the original script the team wrote about having an elite defense for the 2015 season has gone haywire after a Week 6, 26-23 overtime loss to Peyton Manning and the Denver Broncos—a game Peyton and Co. did their best to lose. It’s close to the halfway point, and Cleveland (2-4) has had to face some sober realities, ones that could result in more than a few people on the hot seat. • MORE: Are Peyton Manning's problems more physical or mental? Stunningly, not many of those realities have to do with the 36-year-old McCown and the offense, which, thanks to contributions from the likes of wide receiver Travis Benjamin and tight end Gary Barnidge, continue to rack up points, yards, and—potentially—future dollar bills (both players are free agents at the end of the season). Rather, the more concerning matter is Cleveland’s 30th-ranked defense, which has become a tangled mess. In their last 11 games under Pettine, the Browns are 2-9 and are giving up an average of nearly four touchdowns per contest. This season alone, five different unheralded running backs have rushed for more than 100 total yards against Cleveland—with Tennessee’s Dexter McCluster and San Diego’s Danny Woodhead being the most egregious cases. Denver backup Ronnie Hillman, who could start for any number of teams, was the latest perpetrator, galloping for 111 yards on 20 carries. Recently, a number of players have told me what they believe is the main impetus behind the continual running-back beatings: The Browns have issues with gap integrity—football speak for jamming the holes between the offensive linemen—at all. Rather than being assigned specific gaps, Cleveland's defensive linemen play different techniques based on how their offensive counterparts are blocking them. The linebackers, then, are expected to guess what technique their teammates are using, scrape through the resulting mess and make the play. Opposing offenses have identified this flaw on film and are repeatedly, week-after-week, gashing the edge of Cleveland’s defense. It’s a completely chaotic approach to stopping the run, and players have said—off the record—they're spending way too much time thinking, and not nearly enough time reacting. Indeed, the defense may be too complicated for its own good—something the players have largely failed to address head on. 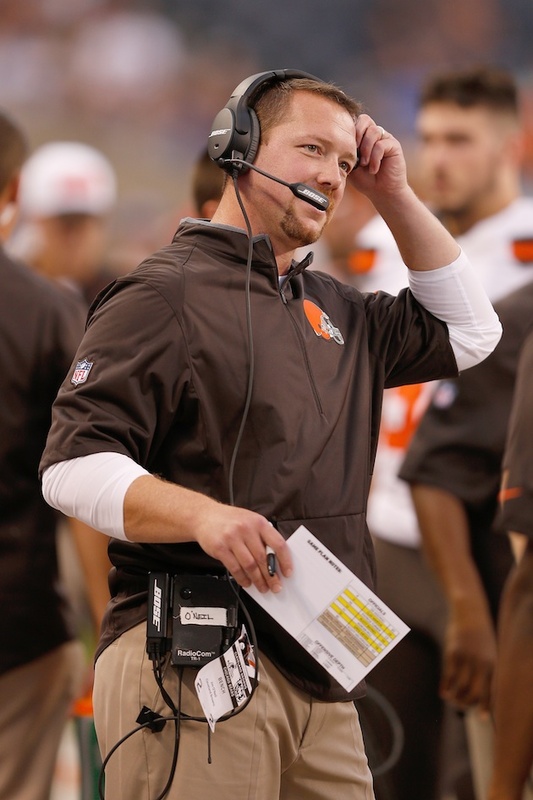 Coordinator Jim O’Neil comes from the Pettine-Rex Ryan lineage, whereby part of the defensive philosophy is to cause pre-snap identification problems for quarterbacks and offensive linemen. It's a scheme that flourished with the Ravens, Jets and Bills but has so far failed to yield reliable results in Cleveland. Simply put, the Browns are spending so much time figuring out ways to trick the offense, they're leaving themselves little to no margin for error. If it means dropping linebacker Paul Kruger in coverage to fool Peyton Manning, despite the latter being a scheme-identifying genius, Cleveland will do it. In other words, the Browns are so worried about you figuring out their cards, they wind up putting certain players in the wrong position. The other factor causing anxiety within the Browns front office is age. Cleveland’s two best defensive players this season have been linebacker Karlos Dansby (who will turn 34 in November) and cornerback Tramon Williams (32). Both were signed by general manager Ray Farmer to lead the locker room, which they’ve done adequately enough. But both are in the sunsets of their careers, and they alone can’t assure everyone is up to speed and in the right place. Meanwhile, 31-year-old Randy Starks has turned out to be a somewhat overhyped signing. Not only is Starks not making an impact, but he's also taking away snaps from younger players Xavier Cooper and Jamie Meder. Where can the reeling Browns turn? Tashaun Gipson may be the most talented young player on the defense, having intercepted 13 passes in the last 2.5 seasons. But a source close to the situation says contract negotiations between Gipson and the team went sour over the summer, and it’s hard to envision a fair long-term deal being reached if Farmer is still in charge this off-season. Cornerback Joe Haden has been one of the few bright spots for the Cleveland Browns defense this season. The scary part is neither Pettine nor O’Neil saw any of this coming. Gipson, Joe Haden and Donte Whitner were coming off Pro Bowl seasons in 2014, while Kruger registered 11 sacks—many of them through double teams—a year ago. Meanwhile, first-round pick Danny Shelton had said he hoped to compete for rookie of the year, and second-round pick Nate Orchard (18.5 sacks last season at the University of Utah) was supposed to be a plug-and-play contributor. Pettine, who built his name coordinating the New York Jets’ vaunted defenses that went to back-to-back AFC title games, was so sure of the defense heading into the season, he radically reversed his role to start coaching offense for hours on end, devising the scheme and game plans with first-year offensive coordinator John DeFilippo. Now it seems like that move may have been a mistake. To be fair, the defense isn't without its potential building blocks. 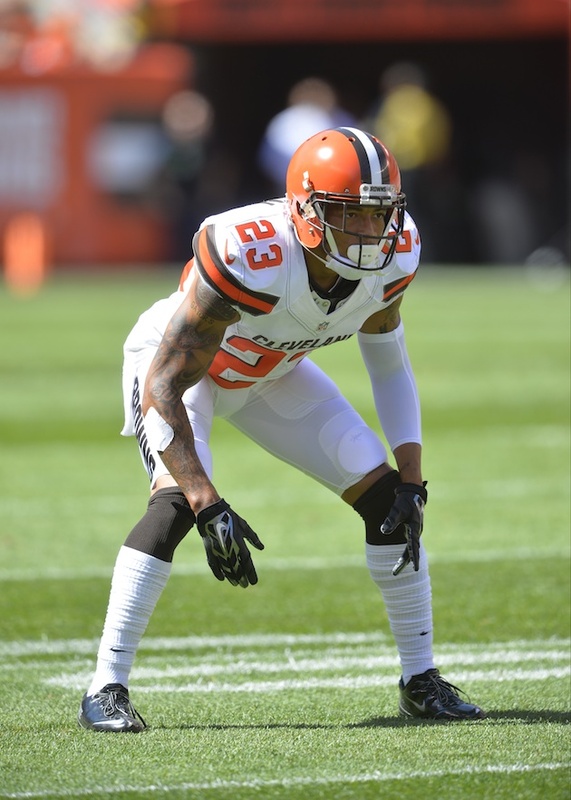 Nickel back K’Waun Williams is an undrafted diamond in the rough; second-year linebacker Christian Kirksey is becoming smarter and more physical by the week; and Haden is still on track to become a face of the franchise despite battling injuries this season. Moreover, the finger-pointing is by no means running rampant, despite the continued depressing results. Cleveland’s defense is a tight-knit unit, so don't expect off-the-record critiques to mushroom into a public spat any time soon. Still, outside of a few noteworthy wins against Pittsburgh and Cincinnati in 2014, Cleveland’s defense is not the backbone Pettine and Farmer anticipated it would be, and that could have a damning impact on both of their futures. Indeed, if McCown were actually paired with even a middling defensive unit, the Browns could be 4-2. As it is, they're already in danger of fading fast into the AFC North's mirror. Combine all of that with an overall lack of team speed, the near-midseason exit polls show the Browns’ D has become one of the more disappointing units in all the NFL.